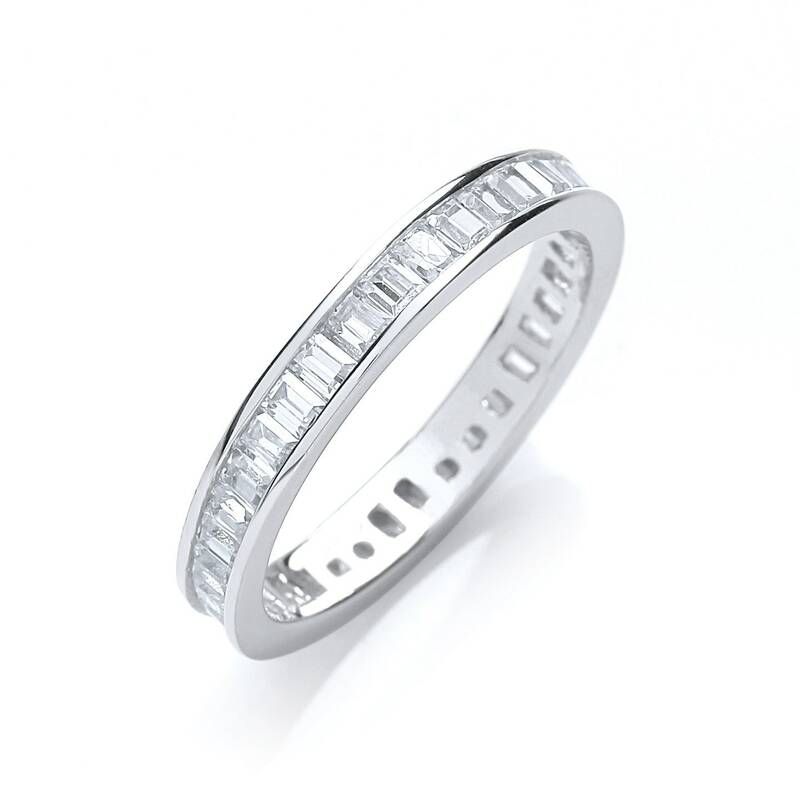 This gorgeous sterling silver eternity ring is full set with baguette cut Cubic Zirconia stones. Crafted in fine quality 925 sterling silver and set with high quality cz stones. 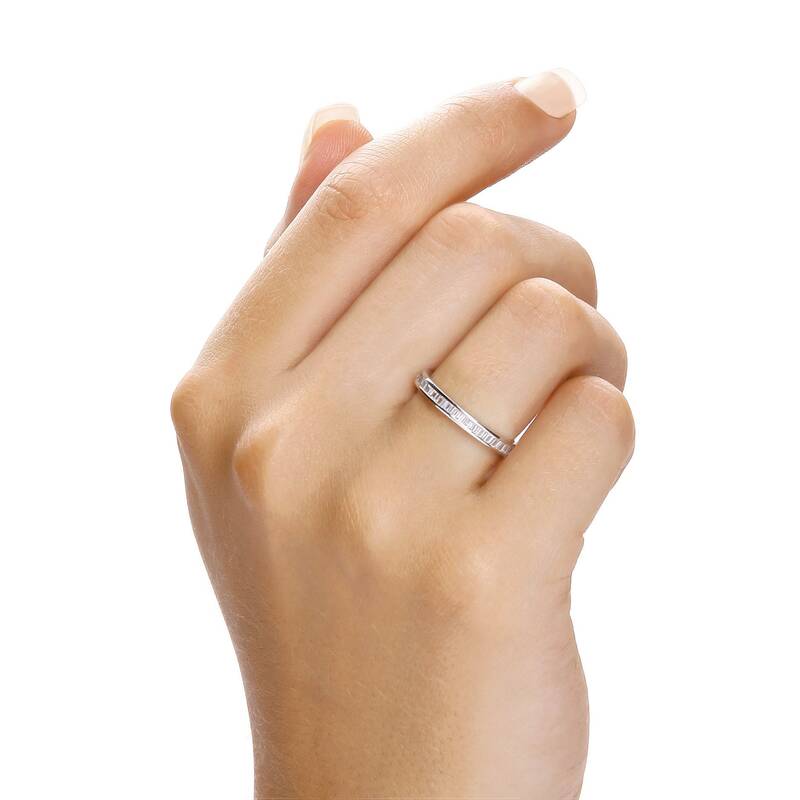 Each piece is carefully hand set by specialists and rhodium plated to resist scratches and tarnish, and give a white, reflective appearance to the silver. Beautiful ring, everything I hoped it would be.